I’ve heard Hailey whine this at me plenty of times. She’s like me in that she likes to know what to expect in her schedule. I get it. Most times I have a loose outline of the day to give her, but I’m careful not to fill every hour- sometimes that even means telling her that between 1:00 PM and 4:00 PM is just free play. I’ve read enough research to believe that children need time, a lot of time, to just play and explore. I’ve also seen positive results in my own house when I allow for more unstructured play time for the girls, so since they were babies I’ve tried to be very intentional in trying to create space for it every day. 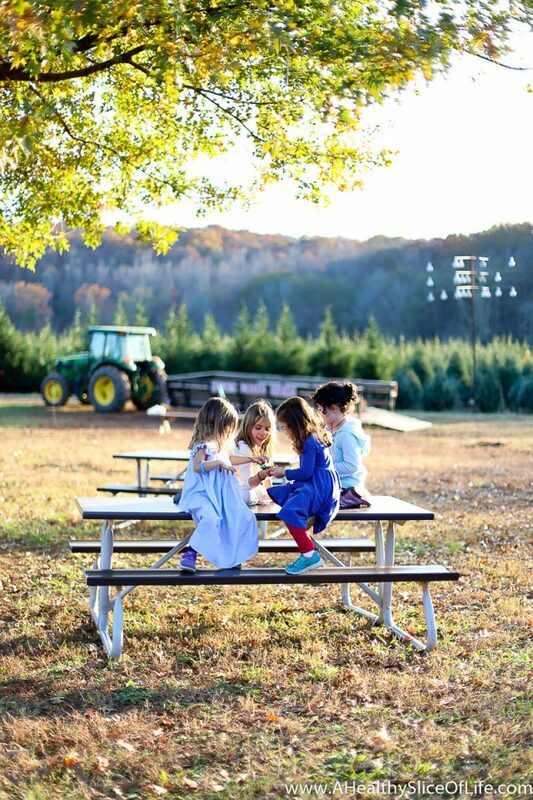 Unstructured play is a hot topic today, especially with recess disappearing from schools and the rise of so many structured activity options for our kids. But what is it exactly? Unstructured play can be defined as an activity in which children (or adults!) engage in that is open-ended and has no specific learning objective. It’s different from recreational soccer, piano lessons, or art class- it’s literally free time to explore, create, and find joy in activities that we love so much we lose all sense of time when we engage in them. Don’t let the “no specific learning objective” part throw you. 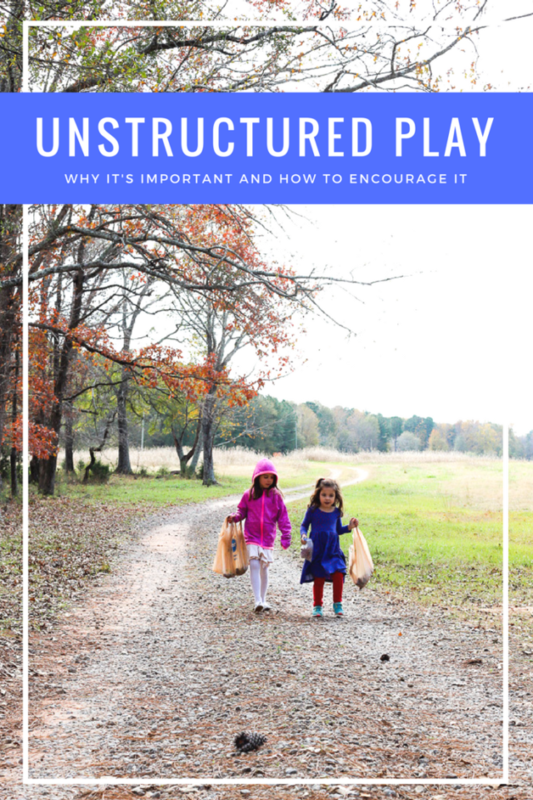 Though there might not be a specific parent-directed goal in mind, there is so much to gain from unstructured play. It allows kids to learn about themselves and make mistakes without feeling any pressure or sense of failure. It encourages self-reliance as children are put in charge of their own happiness. It develops self-determination, self-esteem, and the ability to self-regulate. It teaches kids to make decisions, solve problems, and exert self control. It stimulates the senses and evokes a sense of wonder and respect for the world around them. It develops imagination and creativity. It builds strength, coordination and gives children a chance to be active and fit. It is a source of JOY. All such wonderful life skills, why are children playing less today than they did years ago? Many of us are fortunate enough to have exposure to so many wonderful children activities to choose from and since we want to expose our kids to ALL the things, it is exciting! I’ve fallen into the trap of over-scheduling our days before and the result was all of us being a lot grumpier, not more inspired. 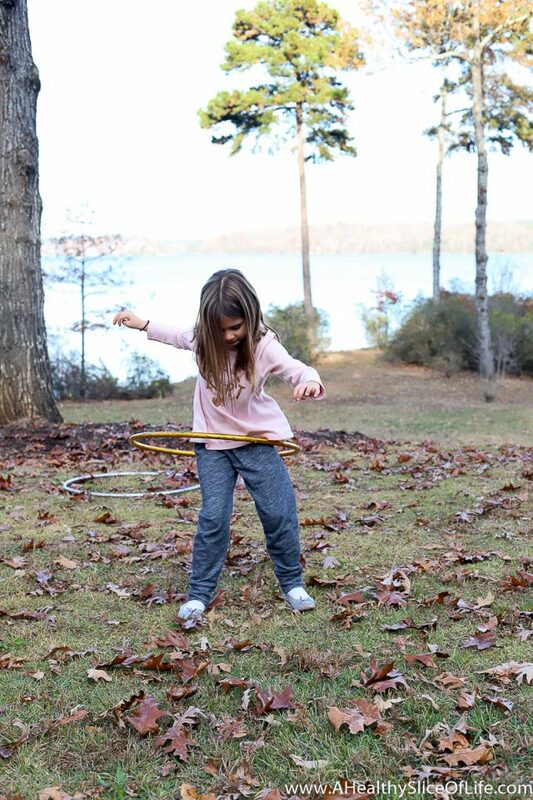 In past generations, free play was a normal part of the day- a child-led, open-ended activity. Who else remembers being told to run off and just be back before the street lights come on? But today, play has largely become adult-directed and highly structured, which really isn’t “play” at all. Scale back on structured activities. This one has taken real effort for me. We are not doing spring soccer this year and seeing everyone else sign up is giving me FOMO. However, we are already doing tennis and not having soccer filling up an additional two days a week means we’ll be free to explore new playgrounds and lounge around reading more books and most importantly, have time to breathe and enjoy our days. Go outside. The best way to keep kids from bouncing off the walls is to remove the walls. Kids need to be outside. I need my kids to be outside. For us, outside is a magical place where whining disappears and time passes unnoticed. Limit screen time. I’ve gone through phases when I’ve relied on TV as cheap babysitting (like when Kaitlyn was born! ), but I truly feel limiting screens overall has made the biggest difference in the way my kids handle down time. Let them create. We keep a “free play” box of odds and ends, like toilet paper rolls, yarn, glue, pine cones, tissue paper, etc. Whenever they start transforming cardboard boxes into sailboats, I love watching them take these random items and turn them into portholes and sails. Get messy. I’m not going to pretend this one is easy for me, it’s not! I’ve taken many a deep breath while allowing them to “cook” whatever they want in the kitchen or dig through the dirt to find rolly pollys and worms. Let go of some fear. Whether it’s fear of letting them play outside without you or letting them try to climb a play structure on their own, we have to let them stretch their wings as they grow. For more on play for kids, check out the National Association for the Education of Young Children’s page on play. The importance of play is one of my favorite topics. And it’s not just for kids! Brene Brown touched on how vital play is for our own (adult) happiness in The Power of Vulnerability. It really struck a cord with me. How often do you get caught up in doing something that you lose all sense of time and feel fulfilled and happy when you’re done? For me, at first, it wasn’t often. I learned that play for me is practicing photography, wandering the aisles Barnes and Noble (or Whole Foods), hiking, and experimenting in the kitchen (which is different than rushing to get dinner on the table). Now that I’m learning more about the importance of play for the girls, I’ve tried to implement more play into my own life too. My hope is that by encouraging unstructured play early on with the girls, that they will learn what naturally brings them joy and fulfills them, and that they will continue to incorporate play into their lives as they grow. What activities do you get lost in? Do you feel your kids get enough unstructured play time? I don’t feel like my kids get enough good, unstructured play time and it’s not because we don’t prioritize it, I definitely make sure that they have set time to play each day, it’s more because when they do have free play time they spend most of it just counting down to when they can do something else (usually screen time) or terrorizing each other instead of playing together, which leads to me playing referee and no one having fun 🙁 I think the biggest issue is my kids LOVE their screen time so much that it’s all they want to do. When it’s not time for that they are bored and don’t care to move past that boredom into entertaining themselves, which I don’t understand because I do limit screen time. Ugh, it feels like a constant battle! When I limit it that’s all they want. If I slip for a day or two because I just *can’t* be on top of regulating it as firmly they they binge on it. When they have more screen time it’s like they want it MORE! It’s a vicious cycle. So… I guess for us screen time and the focus on looking forward to it/missing it really seems to negatively impact free play, which is SO important. I guess I”m curious how you handle screen time in your house? My kids are newly 5 and 8. I’m starting to really contemplate balance and how to better facilitate engaged free play, especially as we move towards summer break! Hey Stephanie! I found the SAME issue with my kids. When we did more screen time, they wanted it more and became whinier and drove me BONKERS. What finally worked for us was going cold turkey on screentime. It was almost like a detox. The first week was tough, but we’ve kept it up now for a year or two now and it is really wonderful. My kids watch TV about once a week- usually a Friday movie. I know (trust me, I really do know) that this doesn’t work for everyone but it has been truly life changing for us. Now of course there are exceptions- long road trips, they watch movies, sick days, usually TV, and they LOVE it (like a moth to flame) and sometimes it takes another adjustment period to get over it, but the only way we’ve kept things smooth sailing and begging-for-TV-free most of the time is to basically eliminate it. Good luck- I know navigating the screen stuff is challenging! Same problem here. My struggle is that there are so many great learning tools through apps and websites. I love using things like Teach Your Monster To Read and such but it’s the same way- he wants more and more. I hate limiting things that I do see are teaching him really well. I’d love your insight as a homeschooler. I know lots of homeschoolers use apps and websites to teach too. Ooh- also winter is a beast. I really struggle to keep the kids busy when we’re stuck inside all day long! At the risk of sounding like a broken record, I want to preface this by saying I believe every family/kid is different on what works best for them. For us, we don’t really use any apps. We do use the computer for Math-U-See (they have 3-5 minute video lessons) and an occasional Reading Eggs lesson, but at the ages my kids are (6 and 3) I feel they learn more/best with real life experiences and interactions. I’m sure when they are older (late elementary and on), we will take advantage of more online offerings, but it just hasn’t been the case for us yet. We currently have no screen time allowed for our kids except for Facetime with grandparents (as we live far away from family). I’m hoping to keep the no screen time rule going for as long as possible. Both my kids are under 3 at the moment, so it’s easier to take charge of the phone. Thank you for compiling this post. I found it inspiring. Love all the pictures of the girls. This is such an important topic. I honestly am so sad when I hear and read about recess disappearing. Was there anything more fun than recess at school as an elementary aged kid?! It’s not only fun but t allows kids to use parts of their brain and interact with other kids in a way that they don’t get to in the classroom. I’ve always admired you because you never seemed to really overload your children with sports/activities but yet they always seem well socialized and active. I think it’s imporpant. Unstructured play is so important to me. We were lucky to have found a great play based preschool for our kids. They start almost every day outside in all kinds of weather and have blocks of time during the day that are free choice. We also spend a lot of time outside just exploring the yard the woods at home. The hardest thing for me is letting them explore when we’re out hiking. I’m more of a “let’s get there!” kind of hiker and stopping to look at moss, sticks, and rocks takes patience. We haven’t fallen in to the over scheduling trap yet, but with kindergarten starting next year I’m sure it will take some strength to resist the FOMO. Your pictures are beautiful! Great topic, and helpful tips! My boys are almost 2 and 4.5 and so far, most all of their play is free play. They watch a show here or there, but we really haven’t had to set limits. The majority of time is spent playing outside or with random things like sting, tape, boxes, etc. We had a lot of spring cleaning yard work to do this weekend, and both boys were out with us, climbing rocks and picking up sticks and pine needles out of the rock mulch. Of course we had to keep a constant eye on the youngest since he still tries to walk out to the street and touch cacti from our cactus garden (Colorado), but overall it was a productive and fun time. I actually gave the oldest the option of watching a show, or helping us in the yard, and not surprisingly he chose to help outside. We also promised to take him on a hike (our adult play time), but then time slipped away from us, and we found ourselves finishing dinner after dark. Our 4 year old was visibly upset when I told him it’d have to wait until tomorrow, but then I realized- we can just take flashlights and headlamps! We are lucky enough to have trails right out our door (again, Colorado :)) so that is what we did and we all had a lot of fun! So far, we have not signed up our oldest for any structured activities yet. I’m sure at some point we will, but at this time I value having our weekends and weeknights open. While we don’t formally limit screen time at home, I have been adamant about not allowing it in the car. We do a lot of driving into the mountains and on road trips, and I’m afraid if I allow them to watch movies they wouldn’t ever look out the window. I could limit it, but that seems like a hassle. I did buy an activity tray (to use as a hard top on the car seat for coloring, etc.) for our upcoming national parks road trip, which will be a total of ~30 hours in the car, spread out over 8 days. We do it every year, so hopefully this year will go as smoothly as in the past! I totally get what you mean about the kids not looking outside on car trips. David and I have shut off the TV before and “forced them” to look at the rolling hills, farms, and beautiful scenery around them (this is from our recent drive through West Virginia). On more scenic routes I definitely want to start doing a better job of turning off the movies because it’s so wonderful to see all the different landscapes in different states. YES to all of this! Sometimes I feel like my husband and I are living on an island, with everyone around us structuring their kids’ days, giving them tons of screen time, entertaining them, and making life about them 24/7. We are the opposite of all of this (and thankfully we agree on this). Our kids don’t have any devices, and watch TV for an hour on Saturday and Sunday mornings. That.is.it. No iPads, no tablets. The only exception is a long road trip/airplane ride or family movie night. They don’t beg for it because it’s not even an option. And I agree that limiting it wouldn’t work (my kids totally zone out in front of the TV and I hate that). Now that my son is in 1st grade he has “homework” to do on the computer (basically a game that is supposed to teach him math). I had to tell his teacher we had to stop letting him play it because his personality changes (for the bad) when he does it. What happened to old-fashioned flash cards? We also feel strongly that the kids need to contribute to the house, so they do chores. They also know the world doesn’t revolve around them, which sounds harsh, but that’s how my husband and I both grew up. Some weekends are about fun kid activities and family time. Some are about getting things done around the house. And they understand and accept that. We also believe in letting them be “bored,” as that’s when they become the most creative. Weekends are a great example. Like you said – find something to do or I will find something FOR you to do! Yes to all of this, Taryn! Also, Hailey turns into a different kid with TV too- crankier, whinier, etc. Abstaining works so much better for us than moderating. My husband and I are both university professors, and we see hundreds of kids every year coming out the far end of the ‘school years’ pipeline as they filter into university. 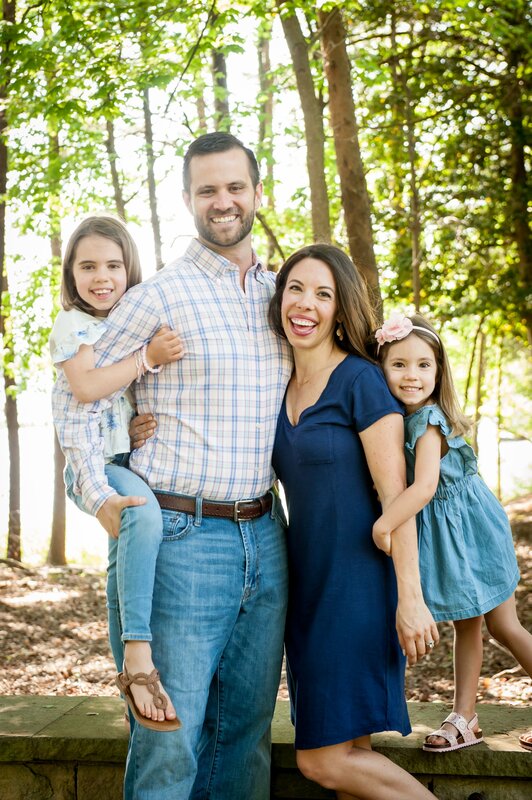 We talk a lot about how to raise our kids so that they come out the other side as resilient, kind, curious, and resourceful people. Our aim is NOT for them to ace every test and win every race. Because they won’t, and life is about so much more than that anyway. I spend hours talking in my office with students who have high grades but very poor coping skills, and it breaks my heart. I truly feel that the “B” student who is curious and works hard is in much better stead in life than the “A” student with zero creativity who is concerned only with her grade. For us, at this stage (with a three year old), it’s also about managing expectations. Often, free play happens at the expense of structured activities, and I feel like there’s a ton of pressure to engage in structured activities in order to help kids “achieve” – whether that’s doing well on standardized tests, being good musicians or athletes, etc etc. In other words, saying “yes” to free play often means saying “no” to structured activities, which become such a focus when everyone wants their kids to be high achievers. When the Olympics were on, we learned the story of some of the athletes who had been involved in their sport at a competitive level since the were 4 or 5!! And, at the risk of negating all of the above (which I deeply do believe), we know that kids from countries that focus on free play at a young age come out on top on many academic accounts anyway. My own experience bears this out: the Scandinavian kids in my classes are almost always at the top of the class because they ask the most creative questions and they aren’t afraid to take risks in their work. Alex- I absolutely loved reading your perspective on this- thank you! One of my favorite educational philosophy quotes is that ‘Education is not the filling of a pail, but the lighting of a fire.’ I always bring myself back to it when I start getting too caught up in what we “should” be learning. Mine and David’s goal is really to encourage the girls to be life long learners, explorers, and problem solvers. Beautiful post as always and with such great tips! I’m going to have to reread it every few months as my kids get older. Now at just turned 1 and 2 1/2, they get the option for free play pretty much all the time. We only step in when they seem really bored or start to get destructive, and then pull out blocks for tower building, encourage them toward a specific toy, or offer to read. My older son does do more activities, like coloring, puzzles, and games…and I guess those would be considered structured activities? But he loves doing those things, he is always waiting for his brother to go down for a nap so he can draw or play a game. Coloring can totally be considered play! It’s something that brings joy and they can get lost in for hours (ok, well, many minutes, maybe not hours ;)). Love this post! At the preschool I work at we are HUGE about this kind of play. We don’t do ” themes” we set things out in a way we think the kids will like and have multiple uses. My favorite is “loose parts” random things paired together and children can use their imagination- sticks, foil, tape and cotton balls all paired together at a table. Another is a ” mud kitchen” with pots, pans, pinecones, shells, rocks, etc and mud! Kids are wayyyy to clean these days, they need to build up that bacteria and run barefoot and get dirty! Oh I love the sound of your preschool! What a fun place for kids to learn and grow!! You used to play well as a kid (guess “chores” were not your favorite choice!) And now, you still play well, but don’t avoid the chores. May your girls follow your good example! John J. recently posted..Couples Communication For Touchy Subjects: Some Tips! I love this post! Great reminder to parents with small children. I think leaving white space in your life is the key to this- that and having less toys. I’m making a huge effort to do this! Absolutely! It feels funny sometimes for me to schedule white space, but it makes a huge difference.